I remember very clearly when I was 24, my friend saying “you’re going to have to grow up”. This was when I’d just bought my new mountain bike. 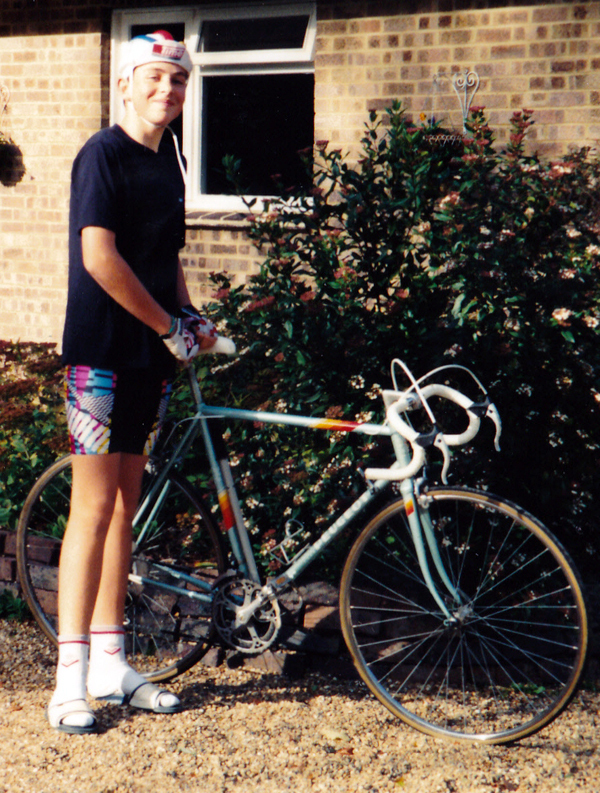 In his eyes, in the south of England, in the mid nineties adults didn’t mountain bike. Of course, being stubborn, I carried on with mountain biking. And, as I’ve explained before it was the bike that brought me to live in North Wales and ultimately run the Marathon des Sables. Two wheels have always been fun, and the more I’ve reflected on MdS, the more I’ve realised that its even simpler. 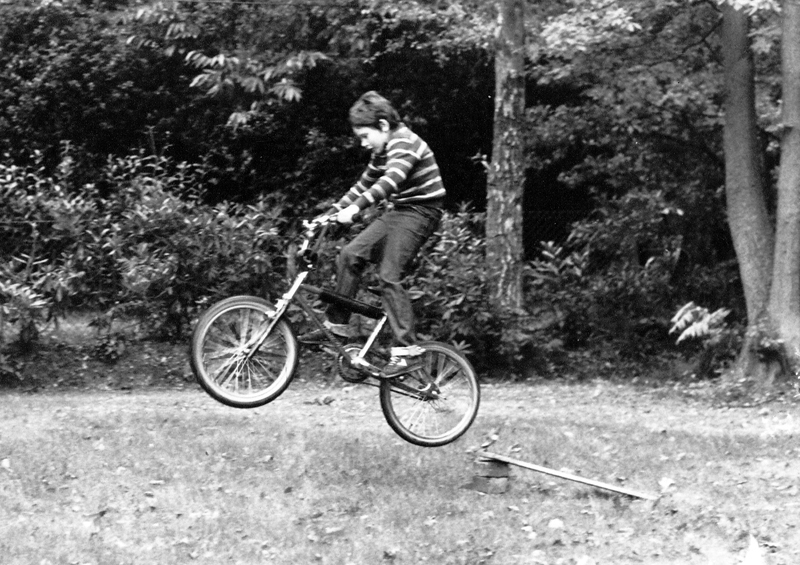 As children we’d ride bikes round and round the same route. We’d learn and know little tracks, jumps, kerb edges, alley ways and back lanes really well. I lived on my BMX for at least 6 weeks each summer holiday for at least 5 years. From early in the morning til it got dark, and sometimes beyond we’d be repetitively skidding in the same place, wheelieing between shadows, lampposts, encouraging each other up and down steeper hills, bigger jumps, higher bunny hops, riding by a stream eyes shut, or disastrously, the night before a maths exam riding down the biggest hill cross handed. Looking back there was no reason. It was fun, no winners, no losers in a competitive sense, just the joy of living in the moment. BMX bikes gave way to road bikes, I found my love of surfing along the edge of the lactate threshold, the moment where the noisiest thing is your breathing, your heart or the wind. All that repetitive stuff creates something that is now known as physical literacy, and a healthy heart. I know I played ball sports and racquet sports (I’ll miss out accurate stone throwing) and that does develop a different kind of physical literacy. Bikes, pedal or engine powered are lovely, I like the feeling that moving on one creates. That sensation in your inner ear, leaning in, trimming the bike, lifting the front wheel, whipping the back wheel or free-wheeling with the wind blowing is something I can always fall back on. It is moving quickly so close to nature, so part of nature that is enjoyable. But, as a mode of transport you’re not in a steel box, people talk to you empathise with you. Also, if you drift from the now, there are consequences that tend to keep you in the now. I got into simple multi-day mountain walking, not instead of bikes, as well as bikes. The camp craft, the endurance, the touching nature really hit home with me in my mid teens. An escape from daily life and the extra responsibilities I had due to terminally ill parents. On reflection this taught me self reliance as well as new skills. Scrambling up Cneifion Arete with a big pack, having crossed the Carneddau was a big moment in my teens. I suddenly felt capable of surviving in a very primitive way. Add a few ropes and some more skills and new dimensions are available, bigger mountains. Never a rock climber, more a mountaineer, but that sounds too grand. Just journeying through mountains, immersed in some remote spots. Then boats came in to play, sailing, paddling, navigating. This was a new challenge, moving on a dynamic environment. I was fascinated by being able to predict the water height on the sea at any given point, the variance the weather made. And on water, to move effectively there needs to be a different reaction. A sailing boat on a different point of sail, with a different sea way needs to be helmed differently. Kayaking, journeying on white water initially seems even more chaotic, but the more you learn, the more you become experienced, again through repetition, the more reaction can be instinctive. The now becomes more fluid [sic] but still a journey, a movement. And then trail or mountain running, far more basic, far more heart, lungs and legs and far simpler. But, all the skills come together in a different way. The exposure felt is more immediate. 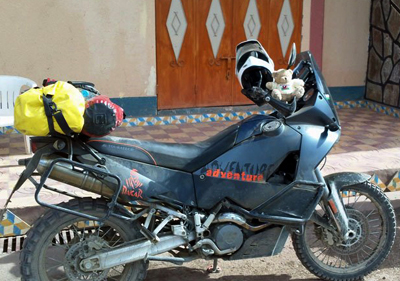 I can compare travelling in the sub-Sahara on a motorbike to my recent experience running. A lot is the same, managing hydration, fuel (for you or the bike) and keeping moving, and I enjoy the journey in very different ways. Probably, even though much harder, on foot is more enjoyable. I still ride bikes, I still visit the mountains, I still love boats. I like doing these things solo, I love the feeling of self dependence. Don’t get me wrong, I’m not a complete misanthrope and I do love sharing the experiences too, but to get the most I like, if not need to be exposed, on my own. That original enjoyment of lungs, heart and wind being the only noise, the movement being beautiful things. Many see my pursuits as dangerous, but that’s different to the view I hold. Managing danger and fear is about experience and judgement. And when you’re in that moment there is an element of purity that is really grabbing. I have and do walk away, the hills, rivers, forests and oceans will be there another day. So far I’ve never regretted keeping going. I’ve regretted stopping, but that is a momentary regret compared to the alternative. Yes, having children has taken the extremes out. Those moments where a wrong decision means instant injury. Big jumps and steep gradients are mighty thrilling, but the adrenaline can come in different, more controllable ways. Chris Baynham-Hughes is a very experienced mountain ultra runner. In his blog here he goes through the iterative process of defining risk. In many cases we experience risk when it is managed by someone else, at an event where the judgement of Event Directors either cossets or denies you your own responsibility in decision making. I agree with Chris the more experienced you get, the more intuitive risk judgement becomes and therefore in many ways the better mentally we’re prepared to handle experiences. The video here is from Daz who has kayaked solo down Everest and in the last minute sums up, for me, the feeling that pushing yourself in whatever format “is”. Surfer, climber, cyclist, runner or even businessman the question Daz asks is one we should ask ourselves, regularly. I’m fortunate to have met some very inspirational people, especially in the years I have lived in North Wales. And now I recognise that not “growing up” is something that is challenging to those in the mainstream. Being responsible doesn’t mean not having fun; it can do if that is your choice. But to live a satisfied life, to live in the now is so important. None of know when the now won’t exist for each of us. Experiences are so subjective, it’s not possible to judge whether one experience is more satisfying for one person, than it is for another. How we express ourselves is limitless, music, art, sport, gardening, religion, what ever. For me feeling the “passion of the now” needs me to move, to take responsibility for my own movement, use my own judgement. The mechanism doesn’t matter. The journey and the experiences on the way are far more exciting to me than the destination. I’ve sat looking at this blank page for ages, nearly two weeks now. Normally I can sit and the words fall out of me; I know the shape of what I want to say and how I want to say it. Perhaps this should be the review of the 29th Edition of Marathon des Sables. “Speechless”. I was motivated to do the event because Cancer reared its head in my life, again. 2014 was a good year for lots of reasons that I’ve blogged about before. But the event has done more, been more, than I could ever have imagined. If you’re sat contemplating a multi-day ultra event, and like I did, have doubts about whether you could physically complete the course you’ll gloss over what lots of people write in their blogs. I did that too. Yes, Marathon des Sables is physically hard, but not impossible. Yes, Marathon des Sables takes commitment and sacrifice. I can say with confidence though, you will learn more, feel more and be affected more by this event than you could ever anticipate. Honestly, there is no point since the start day where I’ve thought “I’d never do this again”. Lot’s of MdSers have said “done”, “ticked off” and “no way”. I asked myself as I crossed the line would I do it again, no doubt at all, if the opportunity arose I’d say emphatically “yes” in a heart beat. I’d anticipated that crossing the line, those final ten steps I had focussed on for two years would be emotional. It wasn’t. That’s not to say in the preceding 40 hours of running I hadn’t been happy, sad, angry, stubborn and every other emotion. Just what I had expected at the finish line was different to reality. There are no words, pictures, videos or talks that I can use to explain fully what happened. I’ve written the day by day accounts, but the bit inside me, the emotional bit is still, a month on, just out of reach to me. It’ll have to wait for another day! The race itself is so amazingly well organised. Yes, there is a bit of queuing, but lets put that in perspective. There are 1000 people in the Sahara, running. The visual impact on this environment after the bivouac has gone is really minimal. A few tyre tracks and a dark 10 foot diameter circle. Pretty impressive. Everything is packed in, set up, handed out, taken down and taken away. There is solid medical cover that wants you to finish. The stories of what Doc Trotters did to keep people running are amazing, and totally contrary to what you’d expect. Even what we’d consider worthy of a few days off work don’t raise an eyebrow. Patch you up, encourage you and get on with the event. Mind blowing, inspiring stuff. The route, changes, new formats are tested. Veterans of the race express their feelings about the good and the bad, the ease or difficulty of the various stages. But that’s irrelevant to me. My MdS, my race looks like a wiggly line near the border with Algeria. It’s not even half as long as one tank of fuel in my car and yet it represents more to me than any car journey. And my daughter summed it up nicely, as only a nine year old can. I now know that I can run from home, in Dolgellau to Oxford. Why I would do that, or want to do that I don’t know. Why I would do that in the heat carrying my own stuff, I don’t know. It’s barking mad when written like that. But I could. And that is my lesson!